18mm top straight desk available in two wood finishes. Graphite H frame leg with two cable port holes. 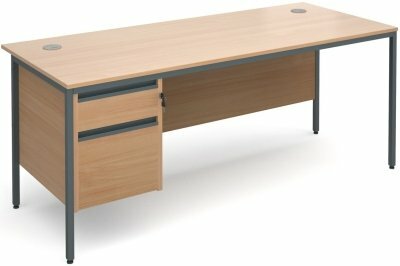 Comes with two drawer lockable fixed pedestal with one file drawer and one shallow drawer. 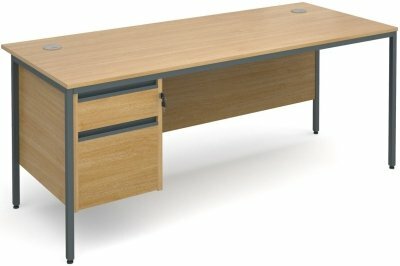 Pedestal can be fitted to left or right side of desk.